WooCommerce offers a very powerful suite of shipping tools to help configure effective international shipping. However, the absence of any support for international shipping carriers like USPS, UPS, and FedEx is one of the many shortcomings WooCommerce has. As such, a number of WooCommerce Shipping Plugins are available that do exactly this and more. 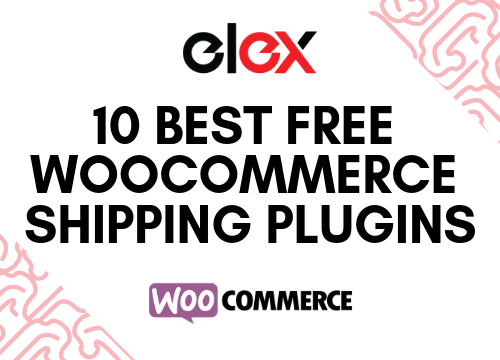 In this article, we will have a rundown of the 10 Best Free WooCommerce Shipping Plugins and their features. 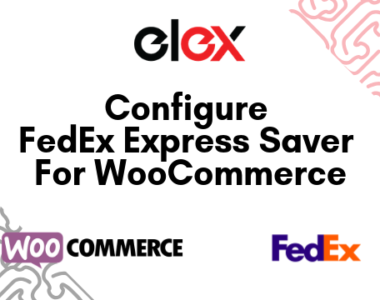 The ELEX EasyPost (FedEx, UPS & USPS) Shipping Method Plugin is one of the most sought-after WooCommerce plugins for EasyPost integration. 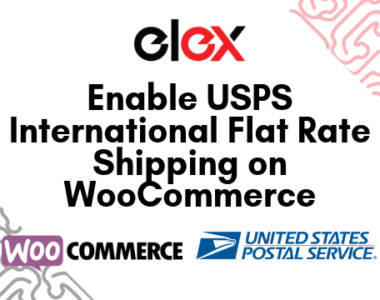 EasyPost offers integration for three WooCommerce international shipping carriers – FedEx, UPS, and USPS. 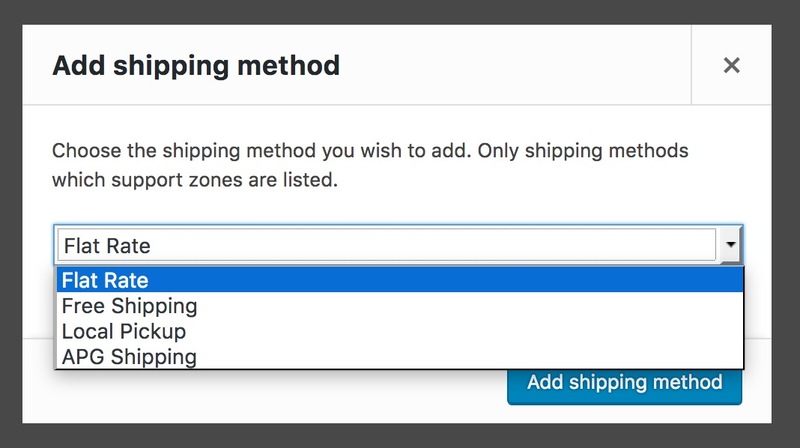 Moreover, you can configure one or all three shipping methods at once. 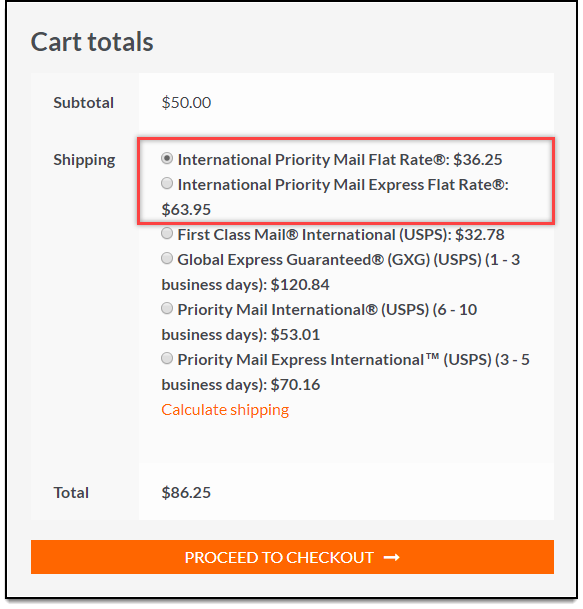 Using the EasyPost API, the ELEX EasyPost (FedEx, UPS & USPS) Shipping Method Plugin lets you display shipping rates on cart/checkout page, pay postage and print label from within your WooCommerce Store. Apart from this, you can also auto-generate email shipping labels, manage returns efficiently, and bulk print shipping labels. It’s the perfect tool for integrating WooCommerce USPS Shipping. 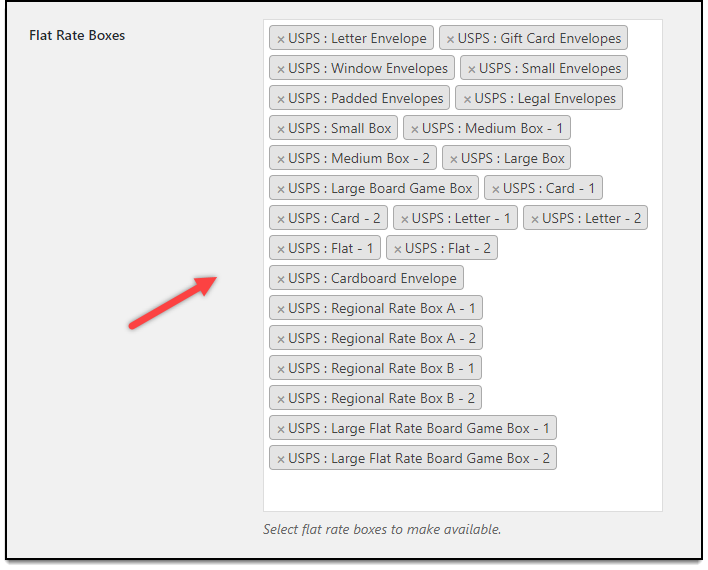 This plugin supports USPS flat rate boxes as well. These USPS flat rate boxes are free and merchants can simply order them to start packaging and shipping. This free WooCommerce shipping plugin can display live shipping rates and estimated delivery dates from USPS, UPS, and FedEx as well place orders and offer their services to your customers. You can try out the demo version of the plugin to test out all the premium features from here. 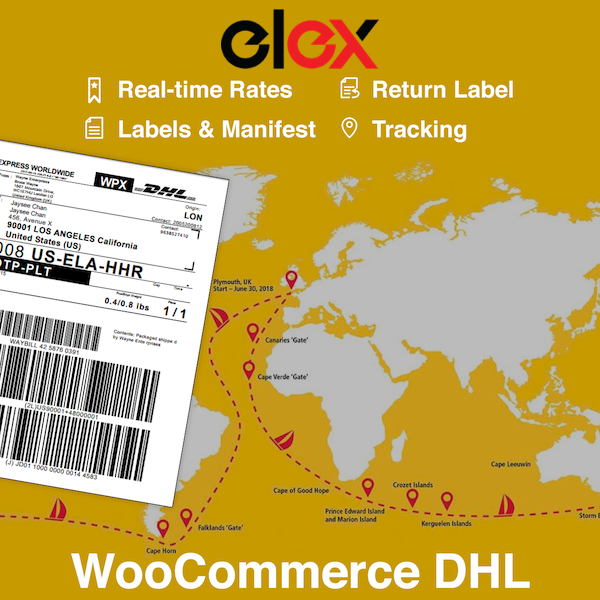 ELEX DHL Express / eCommerce / Paket Shipping Plugin with Print Label plugin lets you easily and effectively integrate DHL shipping services with WooCommerce. In addition to this, the plugin also has the distinction of being Verified by DHL International (UK) Ltd. Moreover, using the plugin you can essentially ship to every location served by DHL Express. 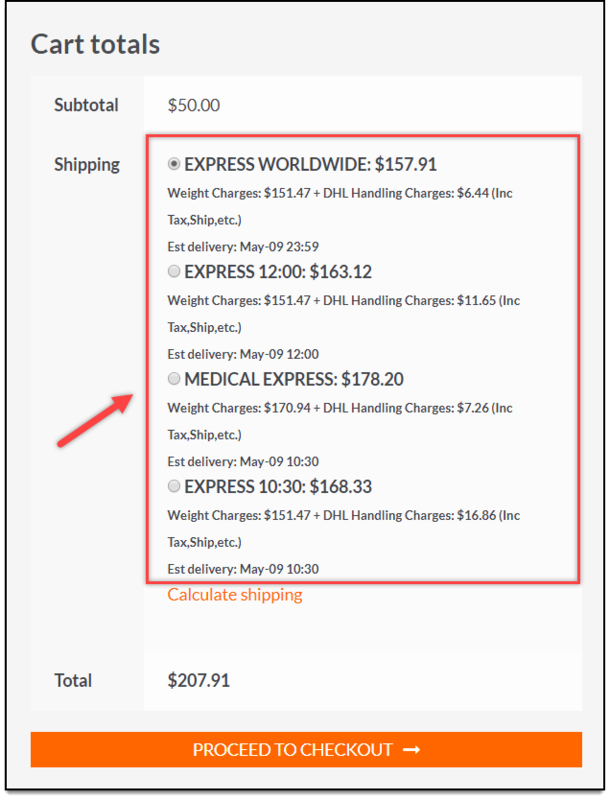 Detailed Breakdown of Shipping Rates at checkout: The DHL plugin displays live rates to the customers along with a breakdown of expenses. What’s more, you can choose to display list rates or negotiated rates. DHL Archive Air Waybill support for Shipping and Return Labels. Air WayBills or air consignment notes are extremely important to ship goods using international airlines. Uses DHL Paperless Trade (PLT) to automatically send commercial invoices to Customs. This features lets you skip printing the details out, instead, the digital details will be sent to the customers. 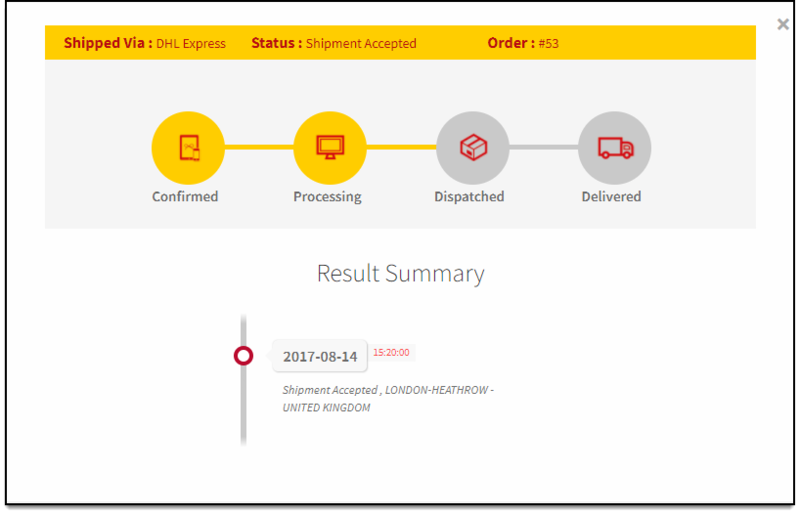 DHL Tracking Integration: When an order is placed, DHL fetches the tracking number and the plugin sends it to both the customer and store owner. Parcel Pickup: The plugin lets you place a request to have your parcels picked up from your store. The free version can be downloaded from here. WC — APG Weight plugin allows store owners to configure shipping rates based on the customer shipping destination. It can also be used to set up different rates for shipping classes, configure handling and packaging costs as well as add APG Shipping method as an option that customers can opt for during checkout. These settings can be configured easily through the plugin settings very conveniently. 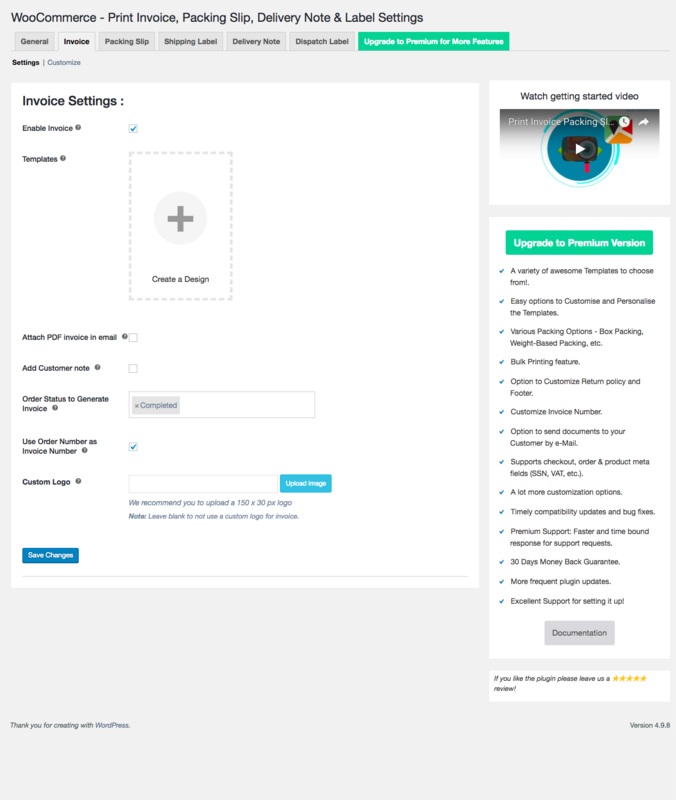 Moreover, this free WooCommerce shipping plugin gives users the ability to exclude user roles, hide payment gateways and show estimated times. WooCommerce Table Rate Shipping by JEM is used to set up tiered shipping on your WooCommerce store. The highlights of this plugin are its intuitiveness and compatibility with other shipping plugins. Adjust prices to account for handling. 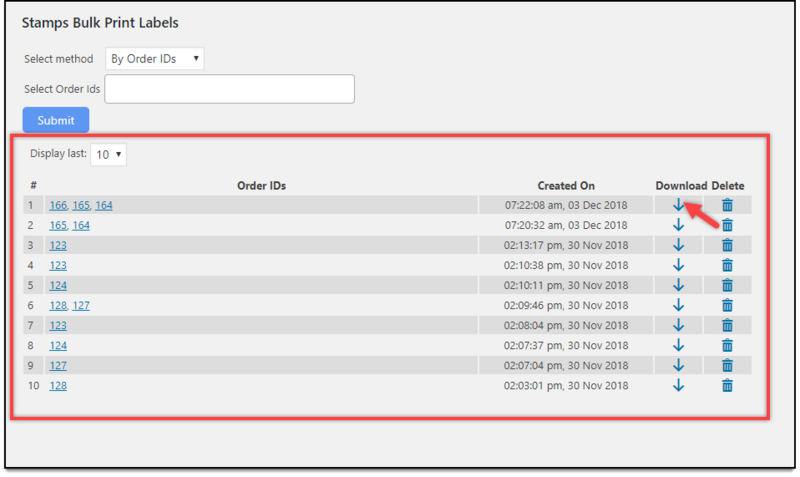 USPS eVS bulk shipments and labels: Using the plugin you can create eVS bulk shipments and generate shipping labels from USPS directly instead of a provider. Electronic Verification System Scan Form Support: The plugin lets you consistently print out scan forms for eVS shipments to ship goods that don’t fit the norm. Shipping dangerous, flammable goods like alcohol across borders has always been a tough task. Using the plugin you can generate the scan form necessary for the shipping of said items effortlessly. Access real-time rates from USPS shipping carrier. Option to choose between Click-N-Ship rates (Online rates) and Post Office rates (Offline rates). Set a custom method title for USPS shipping method. Option to offer USPS shipping service all over the world or to specific countries. Option to shown all returned rates or only the cheapest rates at the Checkout. One thing to note is that to use this plugin you need to be eligible for USPS eVS and have an account. 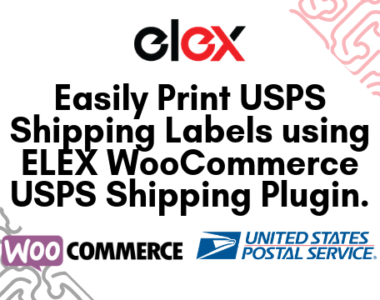 If you don’t need eVS or do not qualify for it and still wish to use a USPS service plugin, you can use the ELEX Stamps.com Shipping Plugin with USPS Postage for WooCommerce. You can download and install the free version of this WooCommerce shipping plugin, here. 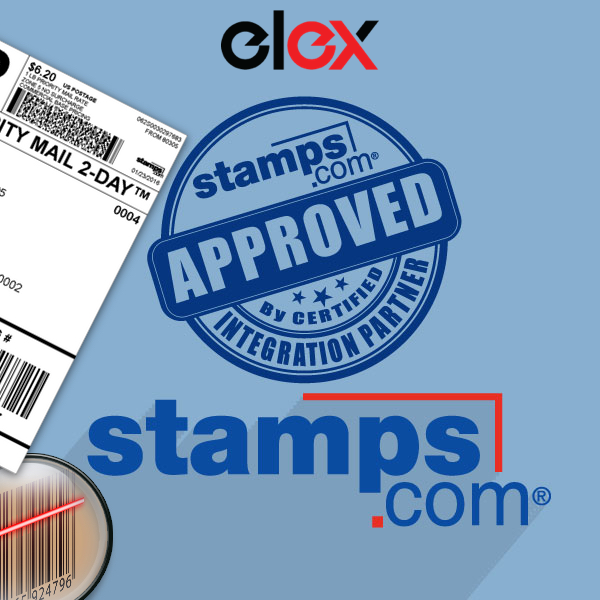 ELEX Stamps.com Shipping Plugin with USPS Postage for WooCommerce plugin is a shipping service platform that integrates USPS shipping services using the stamps.com. It lets you print out shipping labels and postage from a regular printer as well as schedule USPS pickups. While the previous plugin utilizes the USPS eVS API, this plugin is more geared towards small to medium online businesses. The plugin is a must have to integrate WooCommerce USPS Shipping methods for your customers. Live USPS Rates from the Stamps.com API. A significant advantage this plugin has over USPS is that it can be used by both eVS and non-eVS vendors. Moreover, since you need a Stamps.com account for this, you can access its analytics to get valuable insights into shipping expenses, for example. 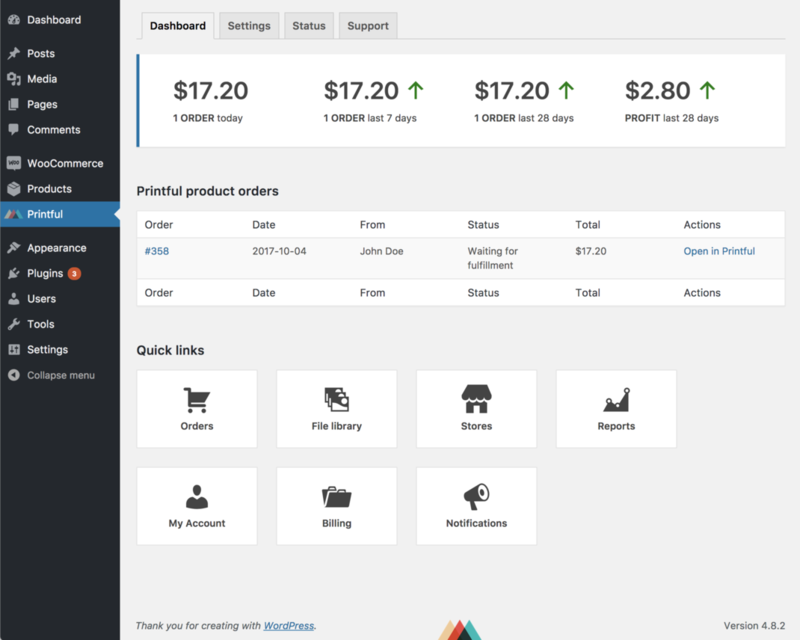 This free WooCommerce plugin can be downloaded from here. Ability to use negotiated rates for all shipping prices. Woocommerce stores based in Australia can ship domestic as well as international using eParcel services. 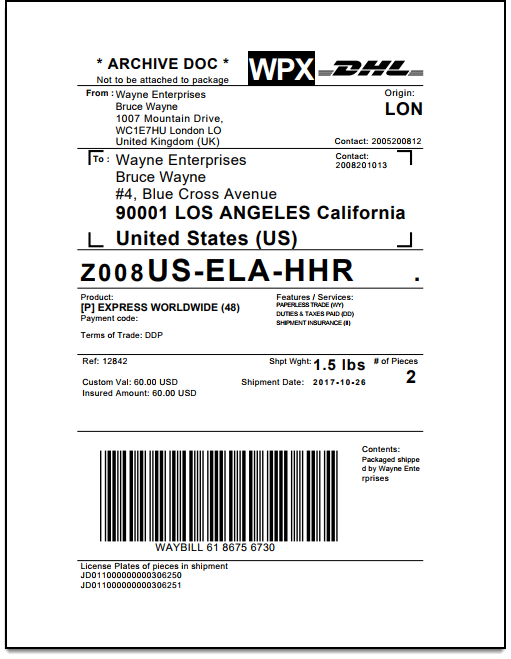 StarTrack services and shipping label printing support. StarTrack is a shipping service that ships across Australia (domestic shipping). Using this plugin you can configure StarTrack Premium service, StarTrack 1/5/3 Kilogram Premium services as well as StarTrack Express services. Display real-time rates from AusPost (Australia Post). Customizing method titles for Australia Post shipping. Option to switch between fixed rates and contracted rates from Australia Post. Selectively disable alternate services like Satchel, Letter, C5, B4, DLE, etc, during checkout. Canada Post Shipping for WooCommerce plugin the perfect plugin to integrate Canada Post with WooCommerce shipping. This means your customers can choose to ship their parcels with Canada Post shipping methods. 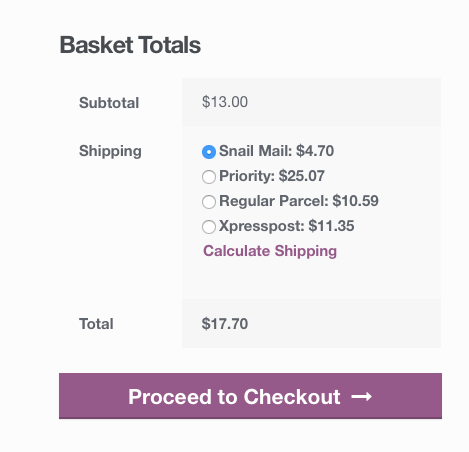 It seamlessly calculates and displays rates for shipping both letters and parcels by using the weights you specified in the WooCommerce settings. Stores that are based out of Canada, or stores that ship to Canada frequently are sure to find this free WooCommerce shipping plugin useful. This free plugin is a seamless solution to handle the printing shipping documents. These include all WooCommerce PDF invoices, packing slips, shipping labels, and delivery notes. What’s more, you can do all this, directly from your WooCommerce order pages. The plugin also comes with the feature to customize the documents being generated to include your company branding. You can configure the documents to be sent to customers as well as to yourself. Add to this, the ability to preview these documents before printing and you have a comprehensive shipping tool for handling paperwork. This is especially handy for international shipping, as invoices, packing slips and labels are mandatory and is the perfect free WooCommerce shipping plugin for the job. The Printful Integration for WooCommerce plugin lets you use configure Printful’s Dashboard that shows revenue and profit statistics. 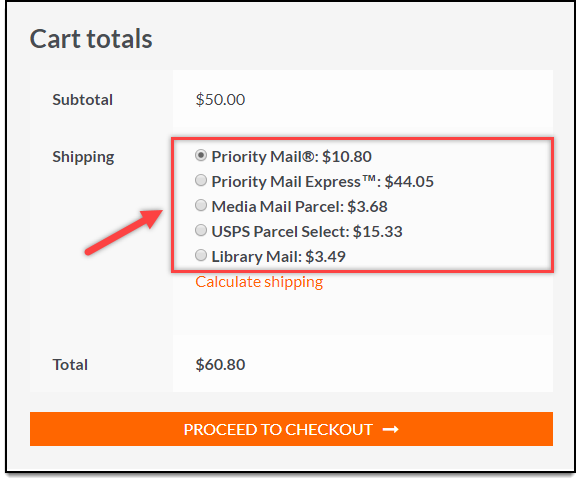 Additionally, this plugin can be configured to display live shipping rates from carriers like USPS and automate shipping tax settings. Rates fetched by this plugin are the ones you get for submitting an order manually. So, there’s no support for negotiated rates. The intuitive dashboard and multi-carrier support are the best features of this free WooCommerce shipping plugin.